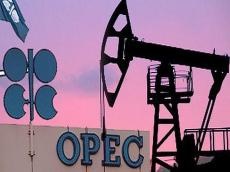 The overall conformity level of OPEC since the beginning of the ‘Declaration of Cooperation’ in January 2017 is well above 100 percent, coming in at 116 percent, Trend reports citing a message from the cartel. The JMMC noted that countries participating in the ‘Declaration of Cooperation’ achieved an overall conformity level in November 2018 of slightly below 100 percent, hitting 98 percent for the month. "It is evident that significant progress has been made towards the goal set at the 4th OPEC and non-OPEC Ministerial Meeting of 23 June 2018, whereby countries agreed to strive to adhere to the overall conformity level, voluntarily adjusted to 100 percent, as of 1 July 2018 for the remaining duration of 2018," said JMMC. The Committee confirmed the new voluntary production adjustments effective as of 1st of January 2019 for an initial period of six months, based on the unanimous decisions taken at the 175th Meeting of the OPEC Conference and the 5th OPEC and non-OPEC Ministerial Meeting on 7 December 2018. Libya, Iran, I.R., and Venezuela exempted. Kuwait based on September 2018 production level. Azerbaijan based on September 2018 production level. Kazakhstan based on November 2018 production level. These voluntary production adjustments will continue to be monitored by the JMMC on a monthly basis, ably supported by the Joint Technical Committee and the OPEC Secretariat, in an open and transparent manner. The JMMC calls on all participating countries of the ‘Declaration of Cooperation’ to redouble their efforts in the full and timely implementation of the supply adjustments to ensure that the oil market remains in balance in 2019. The thirteenth Meeting of the JMMC will take place in Baku, Azerbaijan on 18 March 2019.